1.Experience as a professional driver of Luxury cars in the UAE. Excellent knowledge of roads and road rules throughout the UAE and proven safety record. 2.Good communication skills in English. 3.Organized and practical approach, including excellent time Management skills and ability to prioritize tasks. *Pick up and delivery of laundry to our customers. *The candidate must be able to bring in new customers as well as maintaining the current customer. *Must be fully aware of the areas in Dubai. *Must be able to speak,write and understand English. WE ARE HIRING FEMALE EMS-Personal Trainers. we offer a full time job including company visa,insurance and other benefits. 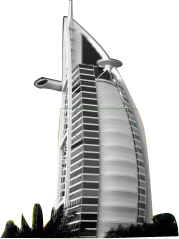 earn from 9000-15000 AED per month.you must be in Dubai. We are looking to extend in all the UAE so we are looking to extend our professional personal trainers team also;You're young? You are good looking? You have experience in sales? You can motivate people to lose weight?The ideal candidate will be a positive and proactive individual with a true passion for sports and an outgoing, charismatic and approachable character. You have a high aptitude for customer care and strong motivational skills, along with the capability to influence and guide and the ability to develop and build relationships easily. Very good English knowledge necesaary. Personal Trainer experience and rep's Level 3 certified.Very good sales experinece. Self convinced and motivated person full of energy.If you feel that you have this aptitudes we are pleased to welcome you in our team.please send your cv with picture and covering letter. Any cv without picture and covering letter will be rejected . If you have passed the initial interview you will be scheduled for a Final Interview and a short test. We will choose 3 candidates to be added in our team. A reputed limousine company based in Dubai are seeking experienced limo drivers to join there company in a full-time job to drive Lexus cars for Uber / Careem business. Attractive salary scheme with incentive/commission. Fiberglass professional who can build body parts for the cars needed. needs to laminate and fabricate concept body parts based on new design.